Stan Lee, legendary Marvel comic book writer, passes on. You are here: HomeInfusion Lawyers ⁄ Blog ⁄ Intellectual Property ⁄ Stan Lee, legendary Marvel comic-book writer, passes on. 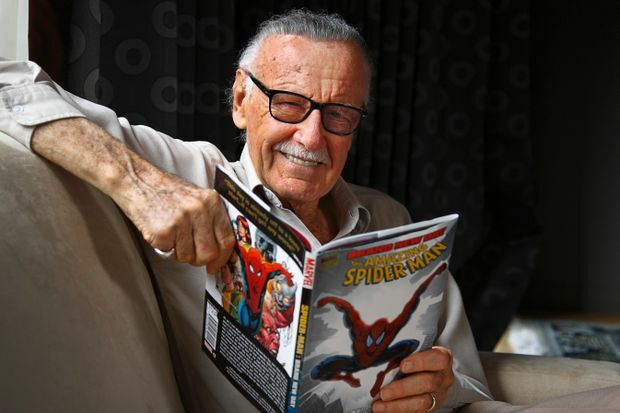 Stan Lee (Stanley Martin Lieber) December 28, 1922–November 12, 2018 (95 years) was an American comic-book writer, editor, producer and publisher. Lee was key to Marvel’s expansion from a small division of a publishing house to a large multimedia corporation. Lee is renowned for creating/co-creating globally acclaimed fictional characters like Spiderman, X Men, Fantastic Four, Hulk, Iron Man, Doctor Strange, Daredevil, Black Panther, Ant Man and much more. In collaboration with artists such as Jack Kirby and Steve Ditko these characters would become iconic figures in pop culture enchanting each generation of readers. 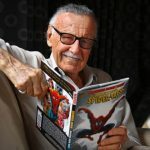 Stan Lee revived the comic book industry in the 1960s by adding a new layer of complexity and humanity to superheroes, offering the costumes and action craved by younger readers while insisting on sophisticated plots, college level dialogue, satire, science fiction and even philosophy. The first budget movie based on Lee’s characters, ‘X Men’ was a smashing hit in 2000, earning more than $130M at North American theatres. ‘SpiderMan’ did even better, taking in more than $400M in 2002. A Marvel movie empire would emerge after that, one of the most lucrative mega-franchises in cinema history, with the recent ‘Avengers: Infinity War’ grossing more than $2billion worldwide. In 10 years, Marvel Cinematic Universe films have raked in $17.6 billion in worldwide grosses. He was also famous for making cameo appearances in almost all Marvel movies. In 2008, Lee was awarded the National Medal of Arts, the highest United States government award for creative artists. Walt Disney Co bought Marvel Entertainment in 2009 for $4billion in a deal to expand Disney’s roster of characters, with the most iconic ones having been Lee’s handiwork. As an IP & IT law firm, Infusion Lawyers deeply acknowledge Stan Lee’s contribution to the development of the global comic book industry and joins the rest of the world to mourn the loss of this great legend.